"Humble, real, relatable! Cody is definitely not a cliche speaker. He has lived what he is telling you. A student commented: 'He's just like us!'" "My students liked how engaging he was; everyone was listening, paying attention and authentically enjoyed listening to him. They thought his message was simple and made sense. They really liked him! I loved how the younger students, who might’ve been completely disinterested with anyone else, were listening, entertained and couldn’t wait to meet him and get a picture with him after the presentation!" 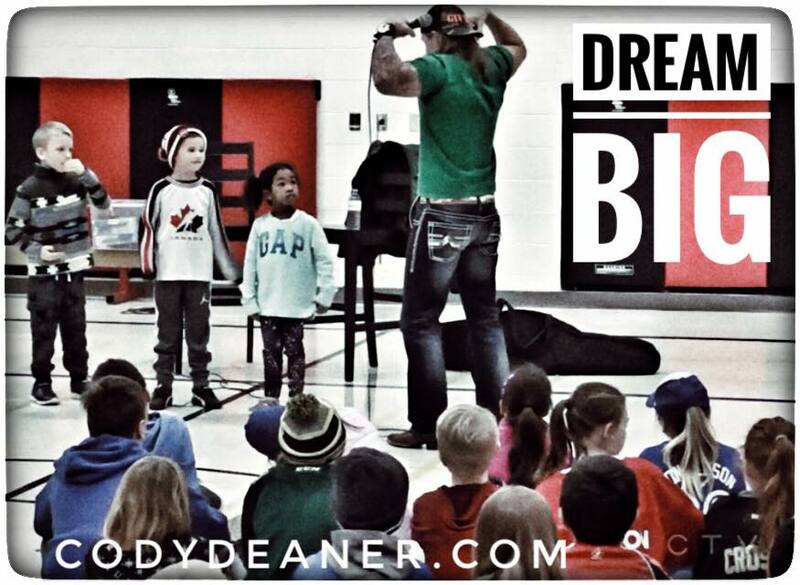 "Cody's message was excellent and the students loved him! He engaged everyone with humour and his amazing storytelling skills. I highly recommend him for any school community." "Cody was one of the most impactful speakers I’ve heard! His ability to quickly connect with the students, hold their attention, and keep them engaged for the entire hour was most impressive. His message of going for a goal, working hard to get it, and helping others along the way is one our students will not forget! Cody is a ‘must-see’ for any student, but made a particularly strong impression on our young men." Read the story of when Cody Deaner visited Tanner and his Developmental Education class in Strathroy, Ontario. Click HERE to read more. Read about Cody's visit to St. Anne's Elementary school in St. Thomas, Ontario and being swarmed by all the amazing kids after his speech. Click HERE to read more. Read about Cody's special visit to his old elementary school in the small village of Sparta, Ontario. Click HERE to read more. 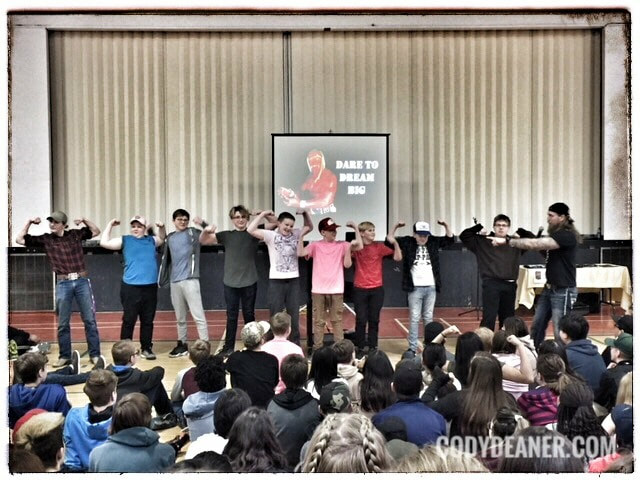 Read about Cody's tour of remote Northern First Nation Communities and the unique anti-bullying message he brought to those communities. Click HERE to read more.